Let me start this out by saying I’m not typically one to open a book and read in my free time. A year ago if you asked me what I did in my free time I’d say: ‘what free time?’ 🙈Ever since I stepped away from being a workaholic (more about that here) and started living a life with more space and balance, I started to learn how to slow down, enjoy more, let go of the things that don’t matter, and live more intentionally. Creativity is crucial when you work in the creative industry, and in order to nurture creativity, you have to be inspired. To exercise the imaginative side of my brain, I’ve been leaning into old and new hobbies: re-learning piano and reading. Stepping away from the never-ending cycle of deadlines and crossing things off a to-do list has given my mind the little refresher it’s been needing. 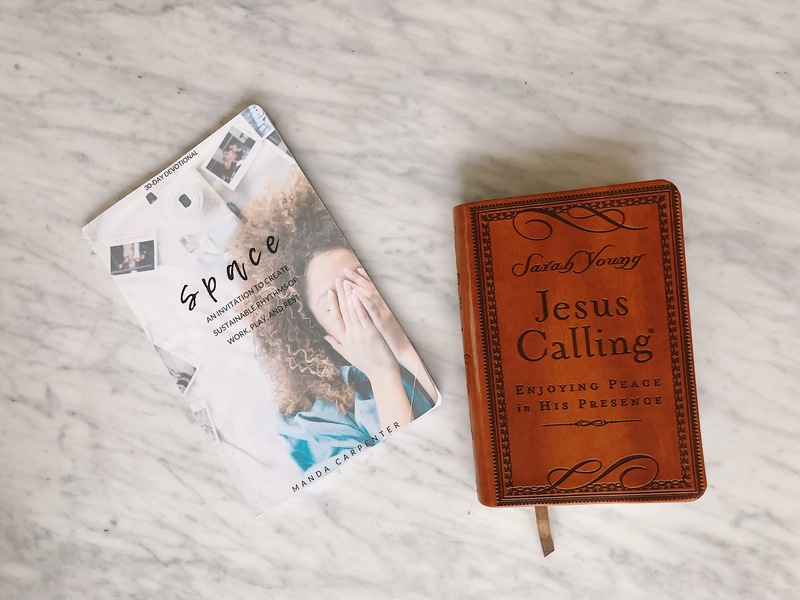 Ever since I started dedicating quiet time in the mornings to prayer and devotionals and time before bed to read something interesting, I’ve noticed a huge shift in my work-life balance and ability to be more original and innovative in my work. My mom is one of the smartest people I know and has always said her knowledge comes from reading so many books. I swear she reads a book per week. I’ve noticed the more I read, the more curious I become..which leads to more reading. And – the more piano I play, the more eager I am to learn new songs. It’s the exercise for the imaginative part of my brain that gets the ideas flowing. One of my best friend’s introduced me to this podcast. It’s designed to move you further towards the life you were born to live and every episode gives you clear and actionable steps to help you live a more impactful life. A life where you’re making difference in your family, in your relationships, in your career, and in the world around you. 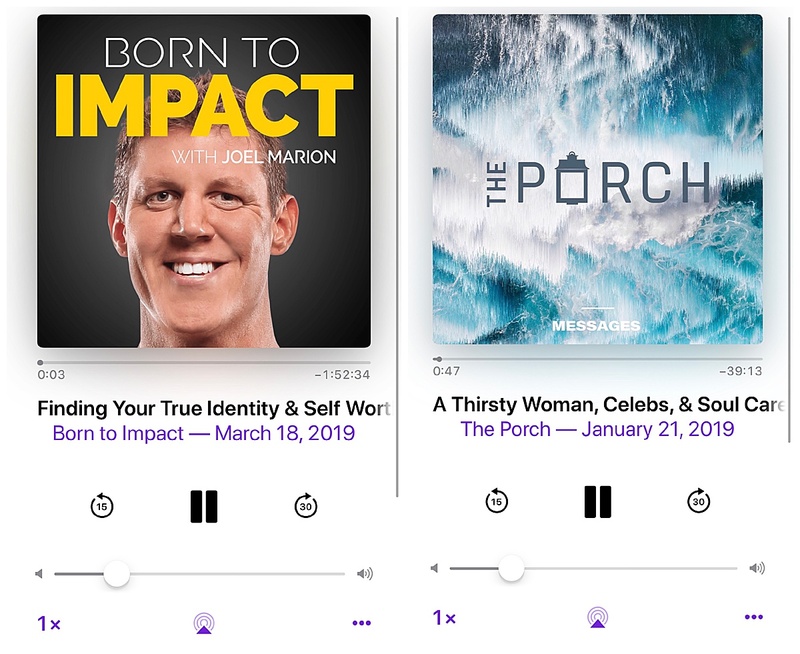 I’ve posted a few of The Porch podcasts on Instagram before, but I really love this one. It’s a young adult ministry in Dallas, Texas. The Porch addresses challenges that face twenty and thirsty-somethings and what the Bible has to say about them. This 30 day devotional changed my life. It’s what pushed me to realize that I needed to slow down. It came at the perfect time too. I love to go back and re-read some of these pages. It taught me to slow down and be more mindful about the hours I have in the day. Manda (the author) and I went to high school together and it’s been so awesome to watch God work in her life. She has a real gift. You will love reading this every day. If you’re looking for an everyday devotional that you can use throughout the entire year, this is the one you should get. Every single day I always find the messages to be so relative and spot on to what I need to hear. I love how the message is always paired with bible verses that pertain to it so you can reference them. This is the book I’m always posting pages from on my story that you guys ask about! Tip – replace this app with where you normally have the Instagram icon on your phone 😉. This is an awesome app I use for little weekly bible studies with my friends. You can be friends with people on the app and select weekly study plans that work for both of you. I’m doing this with Conner and two of my friends right now and I love it. It’s a great for holding each other accountable. 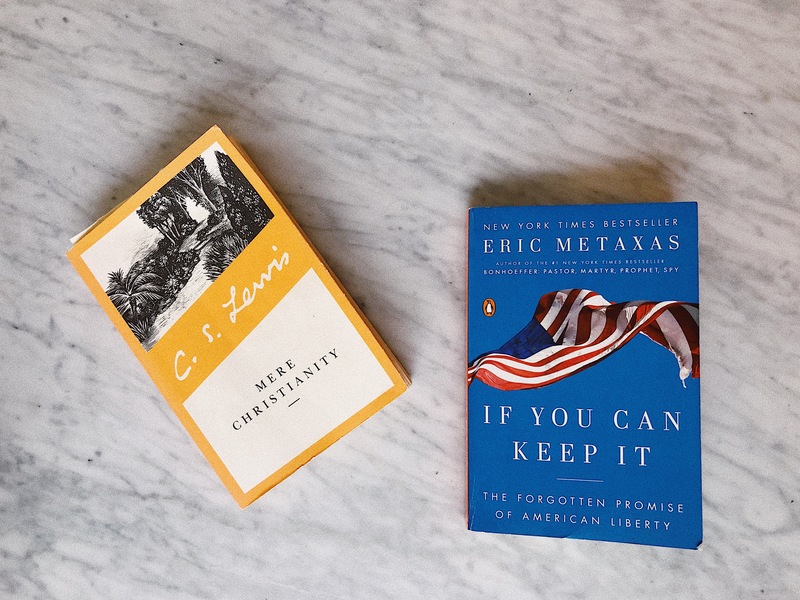 My husband and I had my friend read a quote from ‘Mere Christianity’ during our wedding ceremony because it stood out to us during our premarital counseling when our pastor referenced the book. It’s kind of long but is such a great perspective on marriage and the commitment you’re making but of the great love to come by doing so. Great post! I love learning about new books. I’m an avid reader so anything involved reading excites me. It’s so cool you also play piano! 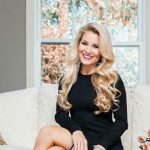 OliviaRink.com is a place for me to write about the things I love while sharing bits and pieces of my every day life along the way. 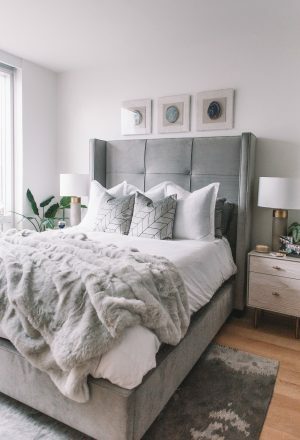 I aim to inspire others through my personal stories, daily outfits, decor and design, and to be a positive role model for girls and young women everywhere.